Black seed is a cold pressed vegetable oil derived from the seeds of the bushy, flowering plant Nigella sativa. The plant is known by a wide range of pseudonyms including fennel flower, nutmeg flower, Roman coriander, onion seed, and in the USA it is sometimes known as charnushka, which is derived from Russian. Even more confusingly, both the seeds of the plant and the derived oil are sometimes referred to as black cumin or black caraway. This illustrates the problems you can encounter when using the ‘common’ names of plants or oils. Black seed is an annual plant with stiff, thin branching stems, lacy grey-green leaves and attractive terminal whitish or blue flowers. 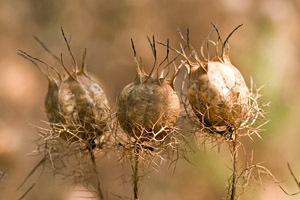 The flowers are followed by a fruit capsule, which when mature opens to reveal small, triangular seeds that turn black upon exposure to the air. These seeds have very little odour, but when ground or chewed they produce a spicy aromatic, oregano-like fragrance or flavour, hence its popular use as a spice throughout history. The plant may have either an upright or sprawling habit that can reach a height of 30-60 centimetres (12-24 inches). Originally native to Syria, Nigella sativa is cultivated today for its tasty seeds which are commonly used in cooking in many Mediterranean countries, as well as in North Africa, Asia Minor, India and the Near East. Black seed oil is obtained by cold pressing the dried seeds. Whilst black seed oil is still relatively unknown in the Western world, in the middle East it is hugely popular because of its wide-ranging therapeutic properties which have been used together with infused herbs in exactly the same way as we do in aromatherapy. 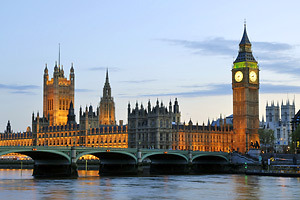 Black seed herb has an astonishing history, having been used for over 3,000 years for both culinary and medicinal purposes. The holy prophet Mohammad famously stated in his Hadith (teachings) ‘Hold on to the use of the black seed for it has a remedy for every illness except death.’ Quite a recommendation, don’t you think? The seeds of this healing plant were found in the tomb of Tutankhamun, and black seed oil (amongst other botanicals) was reported to have been used by Cleopatra to retain her beauty. Dioscorides, a Greek physician of the 1st century, recorded that black seeds were taken to treat intestinal worms, digestive disorders, headaches, nasal congestion and toothache. Avicenna (Ibn Sina), who wrote the great medical treatise ‘The Canon of Medicine’ referred to it as ‘the seed that stimulates the body’s energy and helps recovery from fatigue’. In Middle Eastern countries black seed was so revered it was given the Arabic approbation ‘habbat ul barakah’, which means ‘the seed of blessing’ or ‘the blessed seed’, due to its amazing wealth of health-giving benefits. In aromatherapy, black seed proves to be an extremely versatile oil that can be used in a multitude of ways to improve the condition of the skin and hair, as well as being put to use as a carrier oil in the traditional way for massage treatments. It is a rich oil, yet has a light, silky texture which feels wonderfully luxurious on the skin and is quickly absorbed when used on the face. Despite its deep moisturising qualities, it does not leave the skin feeling greasy at all. As you probably know, the vegetable oils used in aromatherapy do not usually have much of a perceptible odour, but along with unrefined avocado, wheatgerm, and a few others, black seed is an exception. It has a slightly medicinal and spicy fragrance that is noticeable, but certainly not unpleasant, – and its wealth of health benefits far outweighs this aroma! 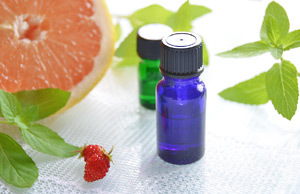 Of course, once any essential oils are added to the oil when making blends, its unique fragrance is instantly masked. Black seed oil is particularly rich in unsaturated and essential fatty acids which makes it perfect as a skin food; it nourishes, soothes and softens dry skin and improves eczema, psoriasis, dermatitis and acne type conditions. This oil makes the perfect overnight facial treatment, and when used regularly it greatly improves the general condition of the skin, enhancing its texture and softness. Some research suggests it may have a wrinkle-softening effect, – and wouldn’t that be a nice bonus! 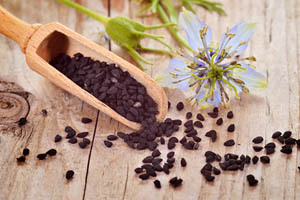 Because of its unique and wide-ranging properties, black seed oil is the perfect carrier for treating muscular aches and pains, arthritis, rheumatism, strains and sprains – even without any essential oils. Naturally, adding essential oils will greatly improve the efficacy of this method of treatment; black pepper, chamomile Roman and German, clove bud, eucalyptus, ginger, lavender, juniper berry and marjoram sweet are all highly effective essential oils you can utilise. For a full body massage you may find black seed slightly too rich, so mix it with a lighter oil such as almond or peach kernal, much the same way as is done with other heavier oils such as rosehip, calendula or St Johns Wort. As more practitioners of aromatherapy become aware of the many benefits of black seed oil, I feel sure it is destined to become much more popular in therapy treatments of all types. Along with aloe vera, Nigella sativa is truly a giant among popular healing herbs, and its use throughout history, plus the vast amount of research conducted into it surely supports its reputation as a powerful healing agent. 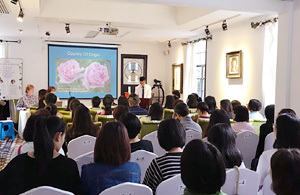 I believe it is destined to become much more popular in the future for both aromatherapy and general skin care too. 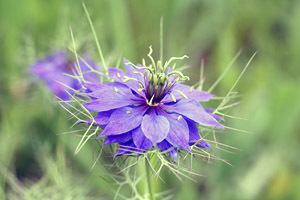 Above - Black seed (Nigella sativa) flower in full bloom. Black seeds contain over 100 active constituents including 15 amino acids, volatile oil, saponin, alkaloids, carbohydrates, vitamins A, B, B2, C, and Niacin, essential fatty acids including linoleic and gamma linolenic and minerals such as calcium, iron, sodium, selenium and potassium. It also contains Nigellone and Thymoquinone which are antioxidants that may possibly reduce the risks of cancer and age-related macular degeneration (AMD). Researchers at the Cancer and Immuno-Biological Laboratory discovered that Black seed extracts yields a wide range of therapeutic properties. It stimulates bone marrow and immune-cell production, increases interferon production, protects cells against cell-destroying viruses, destroys tumour cells and raises the number of B-lymphocytes.